Audience included Chinese artist Michelle Ma and NUWA founder Elaine Friedlander. 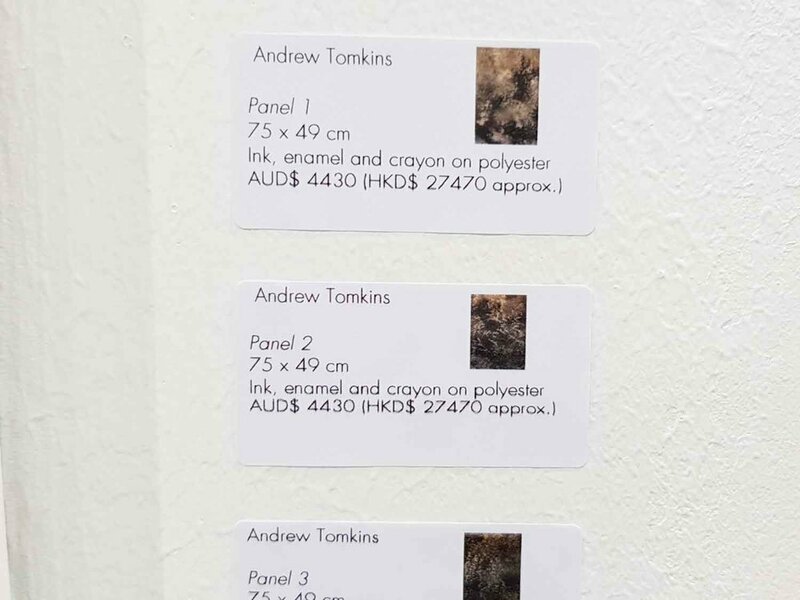 A wonderful feeling to have recently completed my second recent solo show Crossing Cultures in Singapore. I enjoyed connecting to new and old friends who have supported my exploration of Peranakan heritage and local culture. In my Singapore Heritage Tile Art Collection, I interpreted traditional architecture elements into a tale of contemporary design, and showed handcrafted woodblock prints from my recent art residency in Japan. It was fun to conduct sessions of live printing from my temporary workbench at the cafe as well! 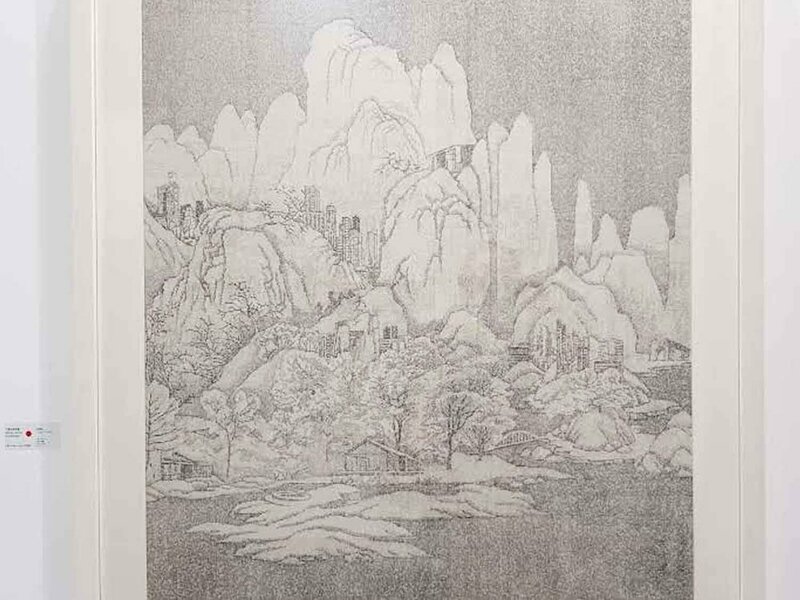 Audiences saw the process behind my woodblock prints and heard snippets of my seven-year journey to uncover my family history. I also chatted about my recent art residency near Mt. Fuji as part of the Japanese woodblock MI-LAB AIR program. It was a fantastic opening of my show with a full shophouse! I was blessed to be surrounded by friends, family and clients. Baba John Teo, General Manager of the Peranakan Museum & Deputy Director, Policy and Planning at Asian Civilisations Museum, kindly opened the show. Award-winning chef & designer Benjamin Seck amazed all with his delicious Peranakan canapés, floral arrangements and hand-made sarong kebaya. 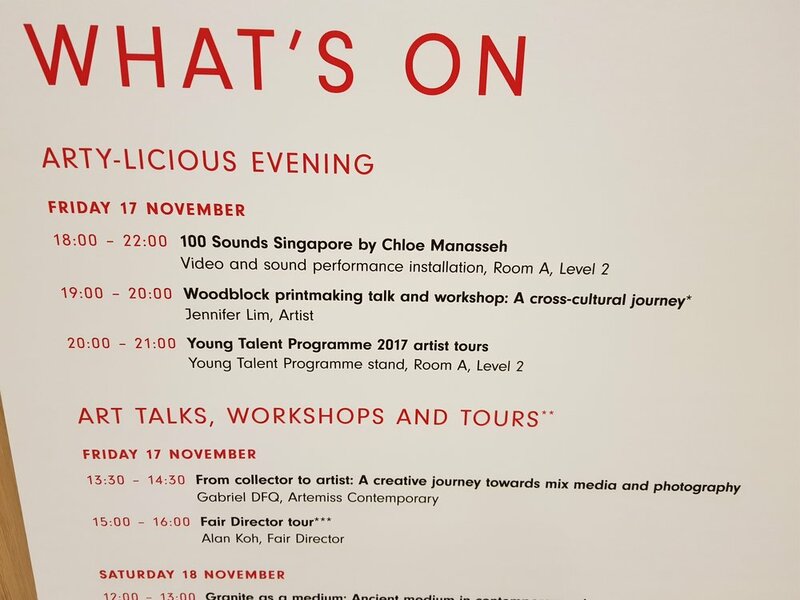 The show was a collection of my artwork inspired by personal links to Singapore, and natural and man-made surroundings. I was pleased to present new additions to my Singapore Heritage Tile range, including Baba Nyonya Love Story. I created this artwork based on the tales of young suitors coming to the front entrance area of a traditional Peranakan shophouse. From behind the dividing timber screen, giggling girls would watch the discussions between their father and the matchmaker. Since discovering that my great grandfather grew up in a shophouse on Club Street, I’ve been interested in learning more about the history and architecture behind these grand ladies. Lovely to have esteemed author Julian Davidson join the special evening. Looking forward to his new book! It takes a village to raise a child, let alone an artist! Thankful for support from the founder of Business Women Network Michelle Mcfarlane and other members. This fantastic group of ladies offered me advice and strength. Other supporters included Elaine Friedlander of Professional Art Network Singapore NUWA, and Suzi Dafinis of HerBusiness. Printing Belgium Duo step-by-step while chatting, & feeling like a counter sushi chef! A Visual Arts graduate of the Australian National University, Jennifer's background includes architecture, fashion and Japanese translation. In Singapore, Jennifer can often be found in the undergrowth of Bukit Brown Cemetery, exploring historical spots and practicing her kindergarten-level Chinese with her HDB neighbours! 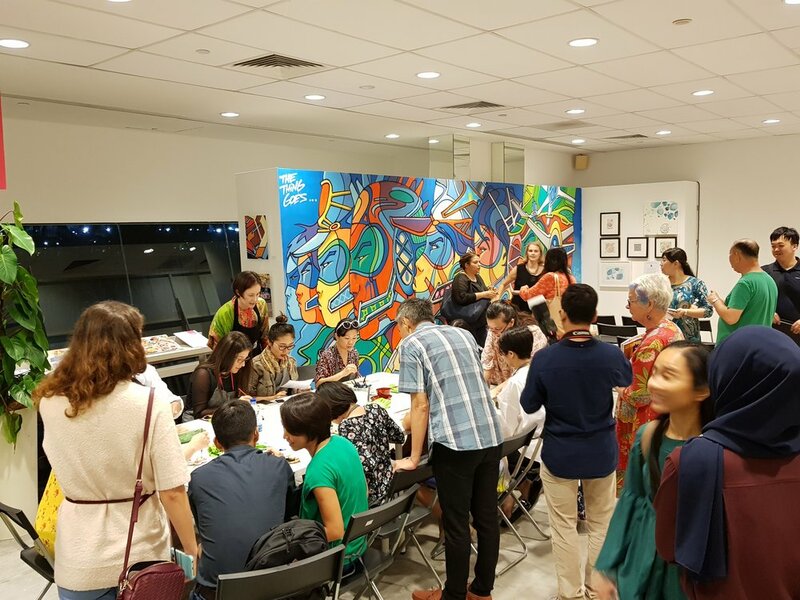 Jennifer helps people enjoy a lasting connection to Singapore through her distinctive prints and paintings inspired by history and heritage. 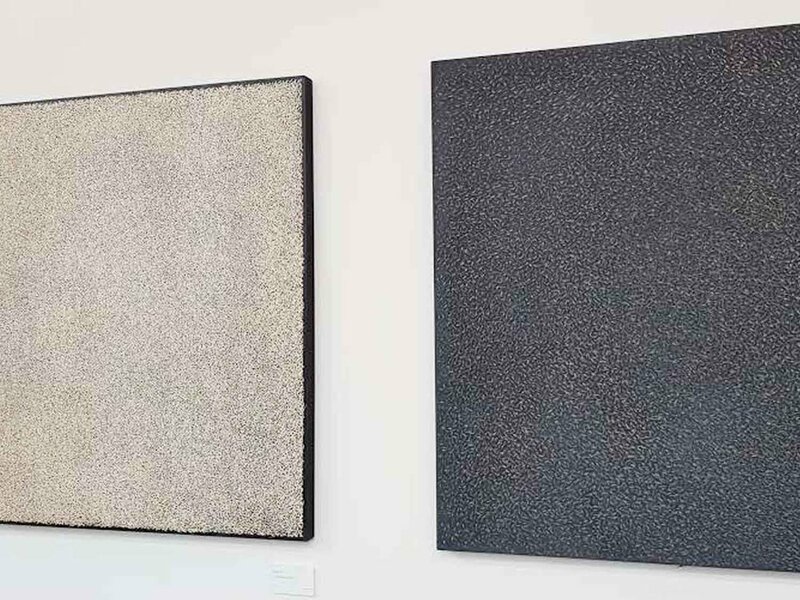 Her clients include the Singapore Foreign Ministry and Tolman Gallery Tokyo. You need a strong pair of legs to get through Hong Kong Art Month! 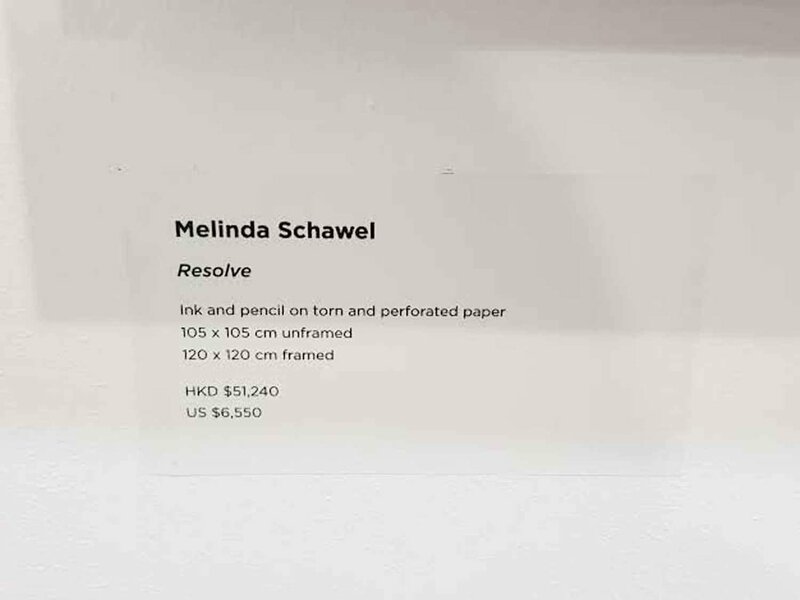 I recently spent two and a half days in Hong Kong to see international art fairs Art Basel and Art Central, and did more steps than I usually do in several weeks. 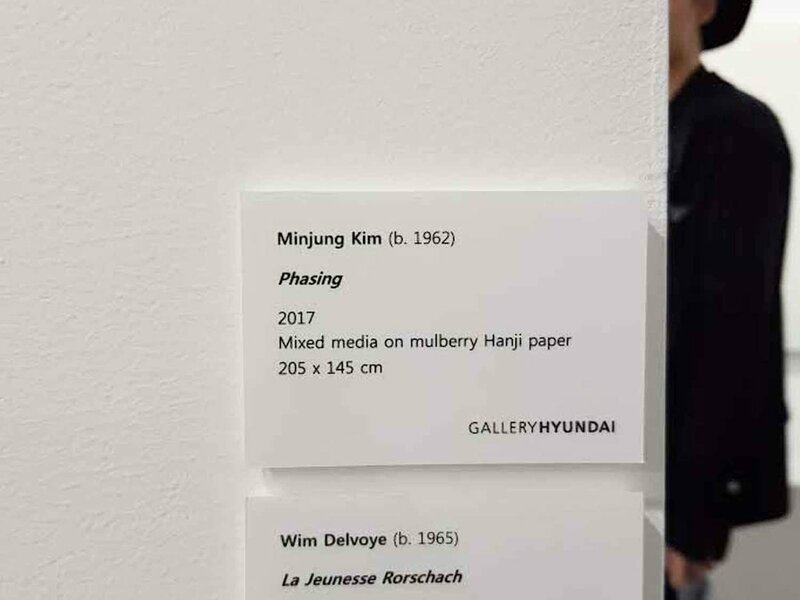 The yum-cha kind of balanced things out in the end though...I enjoyed seeing Art Basel with over 195 galleries showcasing 20th and 21st-century works. Installations by Australian artist Nyapanyapa Yunupingu and Japan's Shinji Ohmaki were among my favourites. It was also nice to see familiar faces at Singapore's Sullivan+Strumpf, Mizuma and STPI. Two hours were all I had to catch Art Central, so I was making the rounds pretty quickly. Lots of beautiful work to be seen in the temporary but intimate pop-up tent hall. Richard Koh, Mars Gallery and Art Atrium had some inspiring works. With over 100 galleries participating, there was definitely something for anyone looking for contemporary artwork. So glad I had the chance to visit with friends and enjoy a couple of days of Mandarin immersion! I was delighted to be part of Affordable Art Fair Singapore Autumn 2017! Lovely to have been invited to exhibit my work and give an artists talk. Awagami Papers kindly sponsored my Japanese woodblock workshops popular with fair visitors. It was nice to also give people a demonstration so they could get an insight into the world of printmaking! Read more about upcoming workshops. 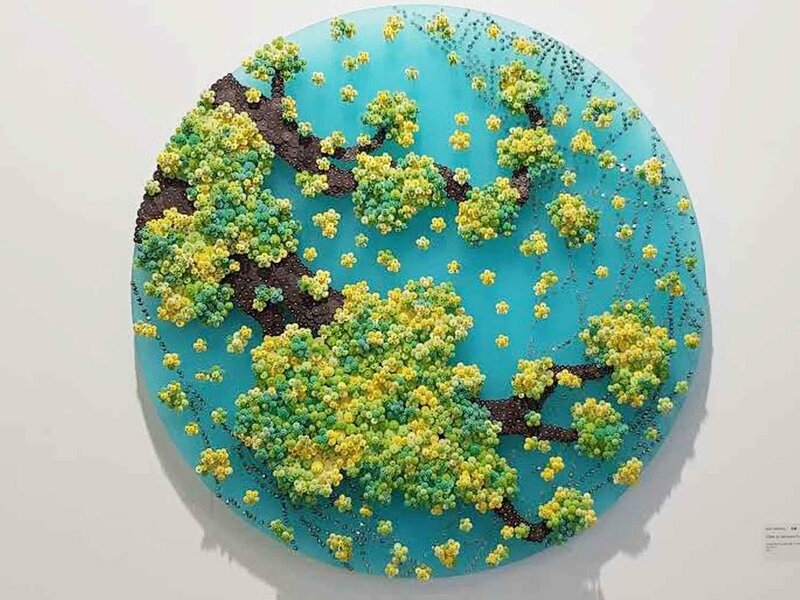 Australian artist Jennifer Lim shares her personal connection to Singapore and unfolds her journey of ancestral discovery through the process of printmaking and painting. A graduate of the Australian National University, Jennifer has strong ties to Japan and studied Japanese woodblock in Kyoto. Her cross cultural background and love of language continues to inform her artwork while she draws inspiration from the built and natural landscape. 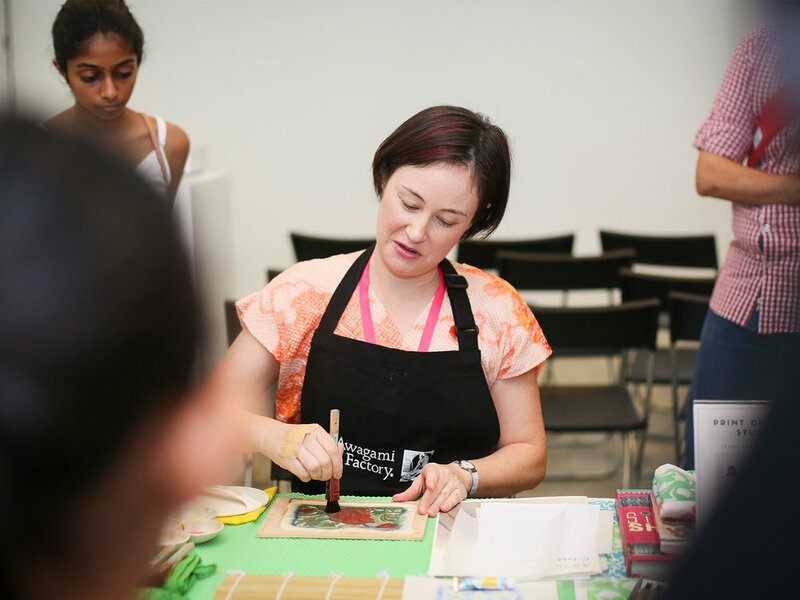 Jennifer will also give a short demonstration on Japanese woodblock carving and printing. Discover the beautiful marriage of watercolour pigments and 'washi' in a 400-year-old technique seen in Ukiyoe prints and beyond. Creation of Victorian Voyage series. 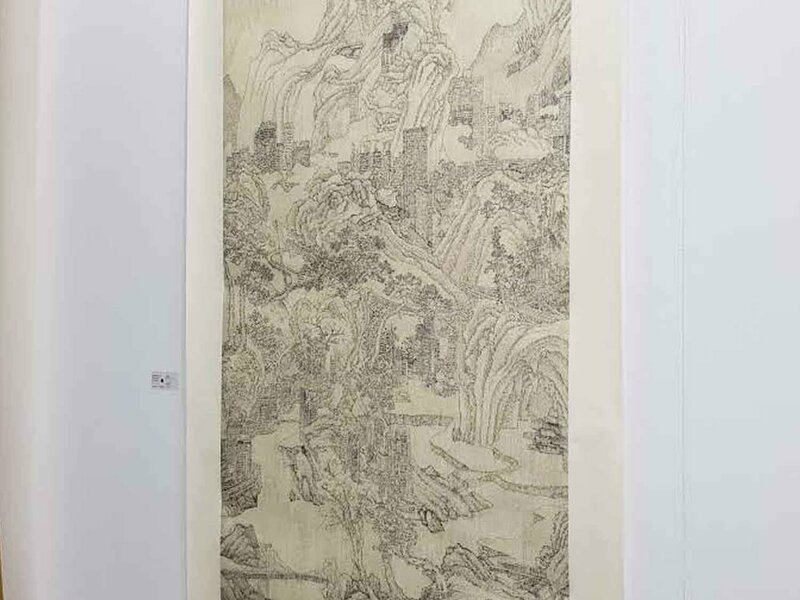 Represented by LUDO Gallery at the Affordable Art Fair Singapore in 2015. 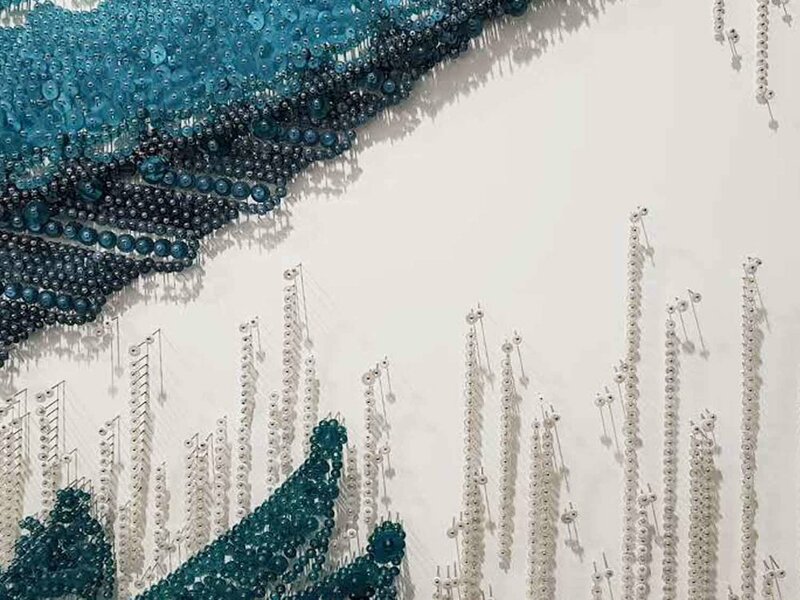 Hermes Singapore recently asked me to do some interpreting and translation work for the installation of several on-site art pieces by Japanese artist Haruka Kojin. It was a lot of fun to help and amazing to see the work unearthed from packing crates and then finally installed at the Hermes Liat Tower show window. Titled 'Contact Lense', the installation literally uses images from nearby surroundings to create a fascinating composition of distorted and reflective bubbles of light and colour. The acrylic disks are made up of both plain acrylic but also ones with a degree of magnification designed. In combination with mirrors, the effect is eye-catching but also somewhat unsettling. Kojin was born in Hiroshima in 1983 and since a child was attracted to the physical space around her, and how it defines our existence. 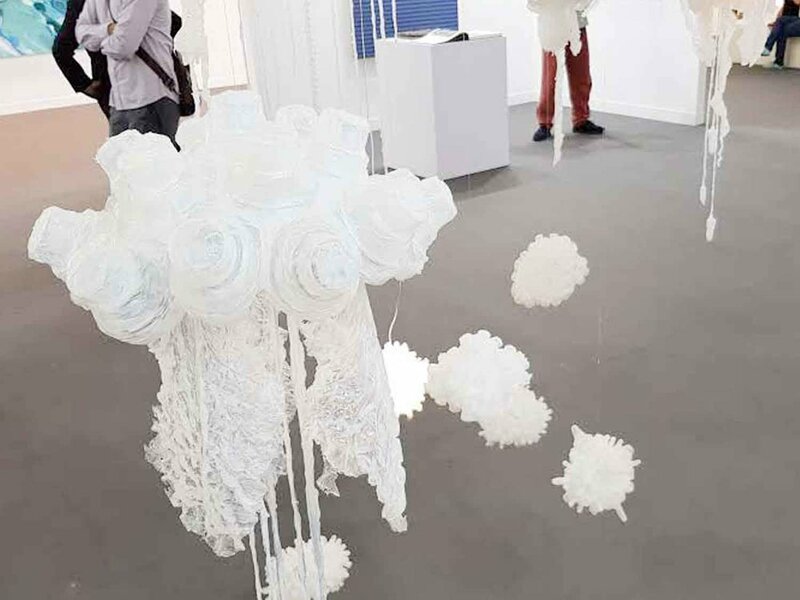 Haruka has exhibited similar works in other countries, but each installation is carefully planned according to the existing space and conditions. For the Hermès project, Kojin is focused on extracting a kind of beauty from everyday objects and incorporating it into fashion. This installation can be seen until October 3, 2017 at the Hermès Liat Tower store at 541 Orchard Road. Don't forget to check out their Aloft Gallery on the 4th floor, where you can find regular exhibitions of international and local artists. I'm honoured to be invited to represent Singapore in The World Triennial of Prints and Original Engravings in France. As one of four artists holding up the flag for the ‘red dot’, it’s been a great chance to make some new work. Chamalieres is a region famous for the paper mills used originally to produce bank notes. Some 400 artists will join from various nations with prizes for the winning participants. I'm proud to be represented by art print specialist LUDO Gallery. These prints will be available shortly for purchase. Prints about to come out of the drying 'stack' - having been pressed between cardboard for several days. A collage of Japanese woodblock prints and screenprints. A few Peranakan tiles thrown in with some Nyonya-ware inspired colours - makes me think of Nyoyna kueh sweets...yum! Jalan jalan...taking a walk around Singapore - you might spot some of these places! Speaking of walks and trips, Straits Sojourn is about the voyages made by Chinese traders and others to the former British Straits Settlements. Japanese woodblock print. My 'patented' thread printing technique. Combines my interest in textiles with printmaking! 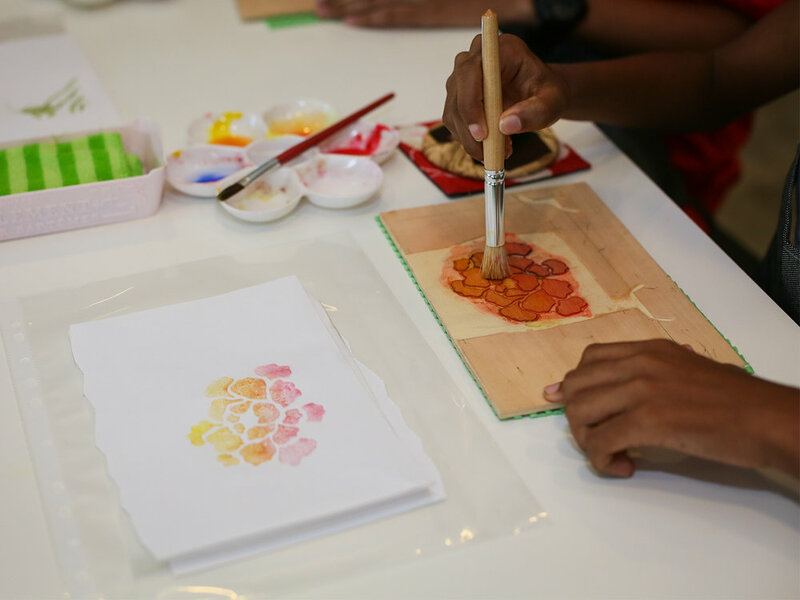 Tile Trade: Wealth & Luck is based on the story of Peranakan craftsmen sent to Japan to create relief wall tiles for local Chinese Peranakan customers in Singapore. These tiles feature fruit, flowers and animals considered auspicious in Chinese culture. Read more.